Fabulous fully-furnished corner unit with ocean-views. One king and one queen-size bed, 3 walk-in closets and linen closet. Large kitchen with granite countertops and equipped with all china and cooking necessities. 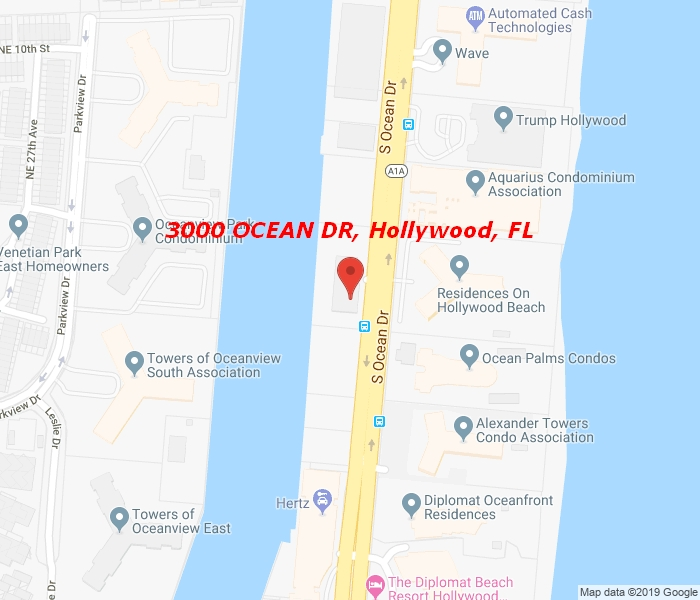 Across the street from the beach with full access to the 3001 Residence building amenities; 2 heated pools, sauna/steam room, tiki bar, BBQ grill, valet, doorman, fitness center. Rent includes; all amenities, cable, hot water. Free parking for up to two cars. Minutes away from Aventura mall. Gulfstream Casino and horse-track, Hollywood Broadwalk. Available yearly or seasonal.